Souvenirs consists of an edition of silicon key rings cast directly from Spodnji grad, the former castle of Celje, in Slovenia. These floppy key rings are souvenirs made by a tourist ( the artist is not from Celje ), who had never seen the building up until the work had to be fabricated. The production of these keyrings was an attempt to look at the building. 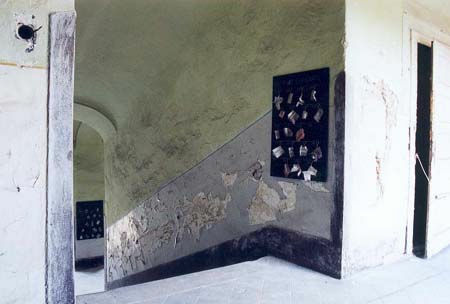 They were an endeavour to record the building in both a representational and a non representational way. They do this by being direct casts (imprints). These kitsch objects are also historical in the way they record architectural detail, but are contemporary by being souvenirs, proof of having been somewhere. These souvenirs were available for visitors to take away or have posted to them after the exhibition. 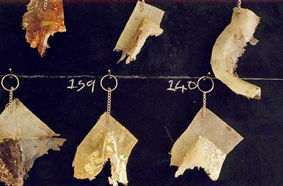 During the course of the exhibition some of the souvenirs were taken, whilst others were burnt on the display boards. 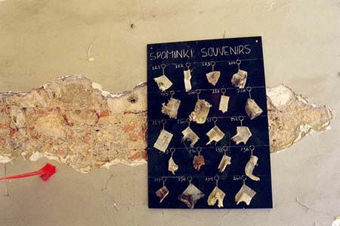 The remaining souvenirs were posted out to visitors to the Castle who requested them.